Regular meditation boosts mental and physical health, and is easy to incorporate into your daily routine, writes Buddhist monk Ringu Tulku Rinpoche. I’VE PRACTISED MEDITATION all my life, and I often give talks on how it can boost mental and physical health. Frequently, I’m met with scepticism. Lots of people I meet don’t believe in the benefits of meditation, or don’t feel it has any relevance to their life. They tell me they’re too busy to meditate, or they’ve tried it and it didn’t ‘work’. Or they think meditation is something only Buddhists do. The truth is it’s possible for anyone to incorporate meditation into their life – no matter what their routine or their religious beliefs. At the most basic level, meditation is simply a technique that trains the mind. I call it ‘taming the mind’. Taming the mind means making your mind do what you think it should do: if you want your mind to be quiet, it will be quiet; likewise, if you need it to be active and working, it will do as you want. To tame your mind successfully, you need to make some time in your everyday life. Meditation doesn’t have to take hours; as little as 15 minutes a day is enough. Then – by focusing on your posture and letting your thoughts come and go – you can relax your mind and learn to enjoy the peace and tranquillity of the present moment. Allocate some time – in the morning or evening or whenever you can – to creating a peaceful state in which to train your mind. This doesn’t have to be a large amount of time. Fifteen minutes will do, if that’s all you have to spare. Establishing the right body posture helps the mind to settle down. So meditation starts with taking up a balanced and relaxed body posture. Sit down (traditionally, we sit cross-legged, but that’s not essential – if you prefer to sit on a chair, that’s fine) and keep your back straight. Don’t let your body lean to either side or forwards or backwards. Your face should be softened, without too much tension; your teeth not grinding or clenched; and your lips and eyes relaxed. Next, try to feel at ease. Some people suggest you can artificially create a feeling of relaxation by imagining all the cells in your body are smiling. How would you feel if all the cells of your body were smiling? It would feel nice, wouldn’t it? Feeling nice is important because, from a Buddhist point of view, the more you become used to feeling a certain way, the more you become like that. So the more relaxed you feel, the more relaxed you become; the more joyful you feel, the more joyful you become. And, in the same way, the more angry you are, the more angry you become; the more miserable you are, the more miserable you become. It’s all habit. With meditation, we’re trying to relax. Because once you feel nice – as if all the cells in your body are smiling – then there’s no need to feel bad; no need to feel tense. Now for the mind: we want the mind to be relaxed too. The problem is it won’t stay that way – the mind will run; the mind will jump. And that’s why meditation can be difficult: if you try to just stop your thoughts, you can’t do it. In fact, the more you try, the more tense you become. So the most important thing to learn about meditation is you have to let your mind be. When a thought comes up, let it come up and then let it go. Don’t follow the thought; don’t get entangled with it and run around after it, just say, ‘This is a thought’; that’s all. Relax in the thought; relax in the emotion. If you are able to do that, then you will gain the confidence of being in control. These four steps are the basis of meditation. Like learning a new language or learning to drive, it requires practice and repetition to get it right. But once you get it right, the physical and mental health benefits can be immense. The benefits of meditation have been proven by thousands of years of practice, as well as more recent academic studies. They include: lower stress levels and protection against mental illness; improved memory and cognitive function; an enhanced capacity to manage pain; better sleep quality; and a greater ability to regulate your emotions. I believe meditation is as relevant to the busy global citizen of the 21st Century as it was to the Buddhist monks who practised it thousands of years ago. In fact, I would argue we need meditation now more than ever before. In Ireland today, for example, there is ongoing recession, high levels of unemployment and emigration, and public dissatisfaction with the economic situation. I’ve been coming here for the past 23 years, and I’ve observed many changes since my early visits. Meditation can help with the stress of such changes; it can help people to remove tensions from their lives, and to focus less on problems from the past and on worries about the future. By focusing on the present moment instead and by taking control of their personal response to what is happening, people can become healthier and more relaxed. I’m giving a free public talk in Dublin this weekend on the benefits of meditation, and I’ll be discussing these issues. If you’re curious about meditation – if you’re wondering what’s the point – this is your chance to find out more. 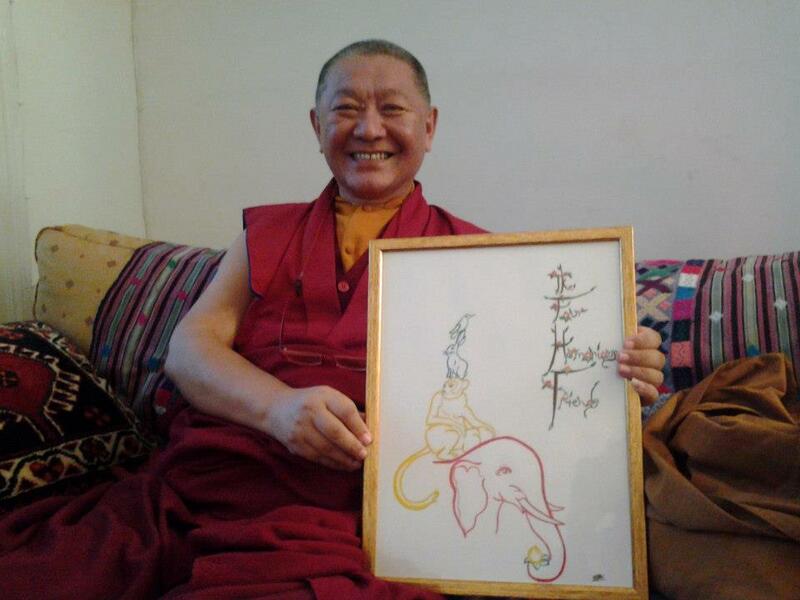 Ringu Tulku Rinpoche was ordained a Buddhist monk as a baby. He is internationally regarded as one of the greatest living Tibetan Buddhist masters, and has a close working relationship with the Dalai Lama. 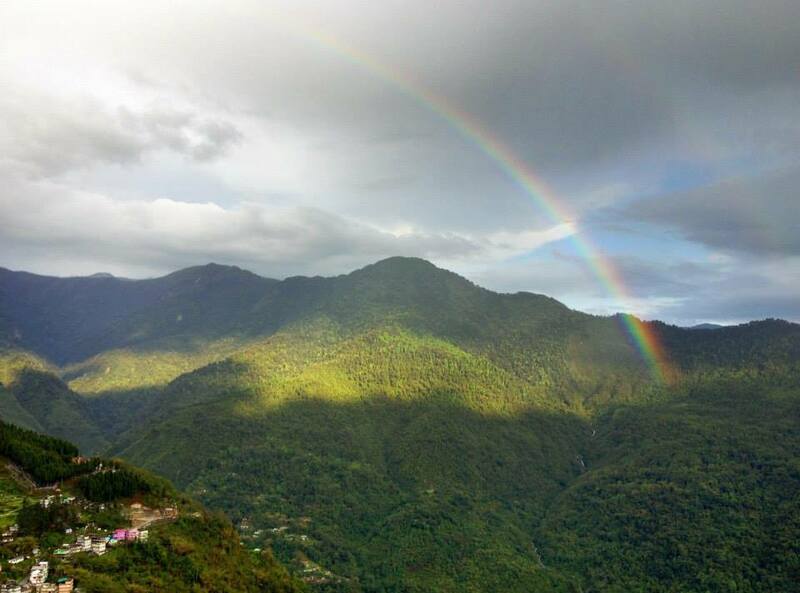 He is the founder of the cultural and educational organisation Bodhicharya International, and is based in Sikkim in Northern India, where he directs a meditation retreat centre at the foot of the Himalayas. He spends over half of every year travelling and teaching around the world, speaking about meditation and participating in interfaith and ‘Science and Buddhism’ dialogues. He has authored many books, including an important scholarly volume on Rimé, which explains the many strands of vajrayana Buddhism that have evolved in Tibet over the past 1,000 years. He is actively involved in a substantial worldwide programme to translate the entire teachings of the Buddha into English. Ringu Tulku Rinpoche’s public talk on meditation will take place on Saturday, 6thJuly, at 2pm at the Hilton Dublin Kilmainham Hotel, Inchicore Road, Dublin 8. The subject of the talk will be ‘Meditation: What’s the point?’, and topics covered will include the relevance of meditation to everyday life, as well the links between science and Buddhism. All are welcome to attend, and admission is free of charge. 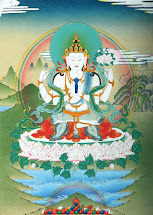 For further information, go to www.bodhicharyaireland.blogspot.com or Meditation: What’s the Point? Babies show me how to be more human. I am a student. 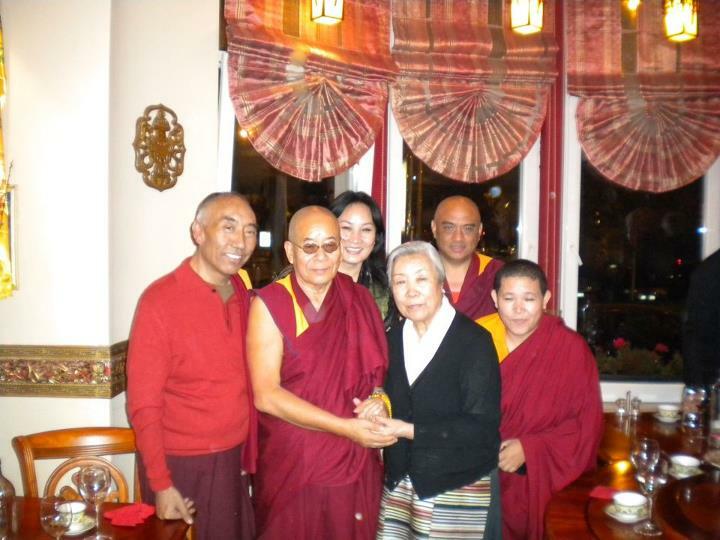 Few days ago my husband Emeric and me were invited to dinner party held in excellent Tibetan restaurant here in Brussels called "Le Tibet".The dinner was held in honor to HH Dalai Lama's youngest sister Kasur Jetsun Pema, also known as Ama-la. Emeric and me are very grateful to Ines Wouters for entrusting us with this task.